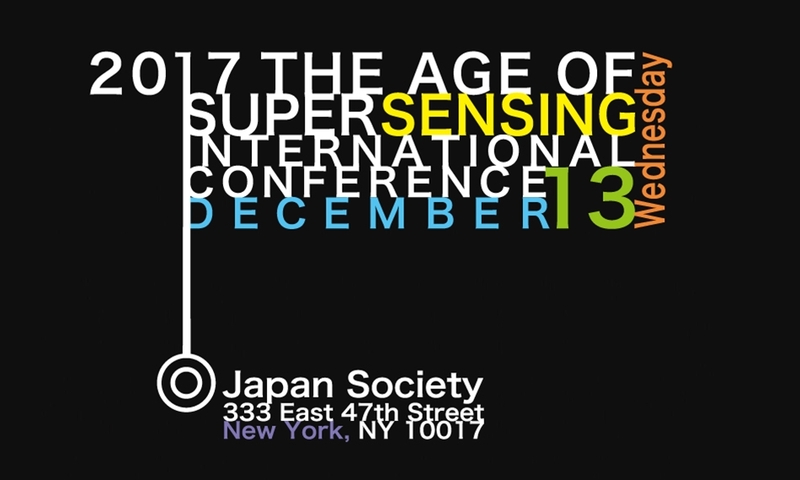 The Age of Super Sensing 2017 — sensingnet Inc. The theme of this conference, “Super Sensing”, is the concept of extending the world that we perceive. There is no room for doubt that our cognition, thoughts and approaches for creation will undergo a considerable change in the coming era where we are provided with stimuli and information that we were not able to acquire in the past. With the appearance of new technologies like various highly-developed sensors and artificial intelligence, that very scenario is becoming a reality. We, sensingnet Inc., are pleased to invite speakers with diverse backgrounds and have them present at this conference to share their thought how their state-of-the-art researches/projects in this area will enrich our daily lives.